Try these cleaning hacks to get your home sparkling. 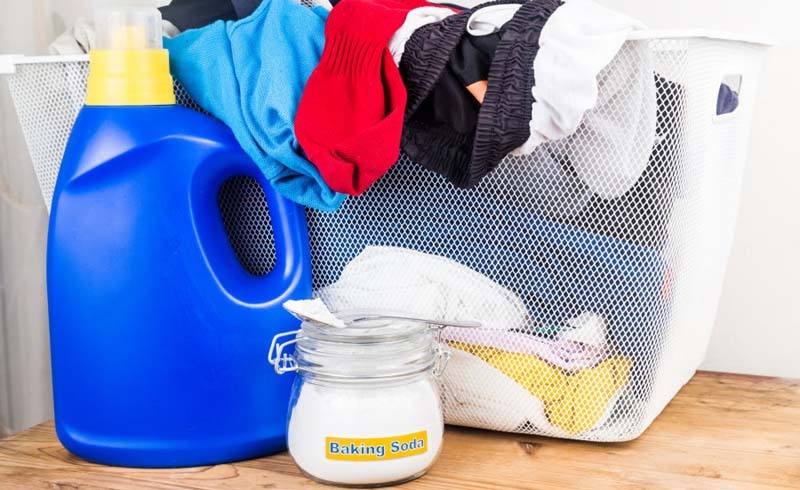 These solutions can help you speed up the cleaning process while expending less effort. Don't feel like you're cheating the system, you're just cleaning smarter, not harder. 1. While the old standby is newspaper for cleaning off surfaces that you want streak-free, unfortunately the ink they're using these days won't produce the same results as they used to. Use a microfiber cloth instead: it won't leave any lint and ensures you'll have to wipe down surfaces only once. 2. Feeling overwhelmed by mold and mildew in your bathroom? There's a really simple solution: ventilation. After showering, leave the bathroom door or window open to make sure the room properly airs out. Letting moisture linger means more cleaning later on. 3. Relaxing in the shower is wonderful, but we'll take not having to scrub later on instead. Keep a squeegee in the shower and wipe down the inside of your shower and shower doors while you're in there. 4. Spray Rain-X onto shower doors to repel water stains. The spray from the shower will bead up and roll right off instead of staying on your shower doors. Reapply every few weeks to keep those water droplets rolling. 5. Plastic shower liners get gross very quickly, but you don't always need to throw them out. Run them in the washing machine with old towels and hot water. It will help get rid of accumulated mold and mildew. 6. Easily refresh and deodorize your rugs and mattresses. Sprinkle baking soda and softly work it in to the surface. Let it sit for about twenty minutes and then vacuum it up. 7. Use dry sheets to dust your baseboards. It gives your whole home a subtle scent and will help repel dust, dirt, and hair going forward. 8. Furniture can take a beating during the winter months because you're inside all. the. time. You know you can use furniture markers to touch up nicks and scratches, but did you know you shouldn't be afraid to use more than one color marker? It helps to blend it in. Once you're done use furniture polish to work it in. 9. Vinegar can deodorize your carpet, if you have lingering pet odors, combine one cup vinegar with a quart of water and gently spray over the carpet area (test a small spot first to make sure it doesn't mess with the rug color) gently work it into the rug and let it dry. Don't worry about the vinegar smell. It will disappear along with any odor. 10. Revive wood furniture and get rid of pesky water rings by applying full fat mayonnaise to the area. Let it sit for an hour and then wipe off the mayo. It's like magic! 11. There is actually a thing as too much cleaning. Furniture polishes can build-up over the years and create a sticky, unappealing feel to your wood furniture. 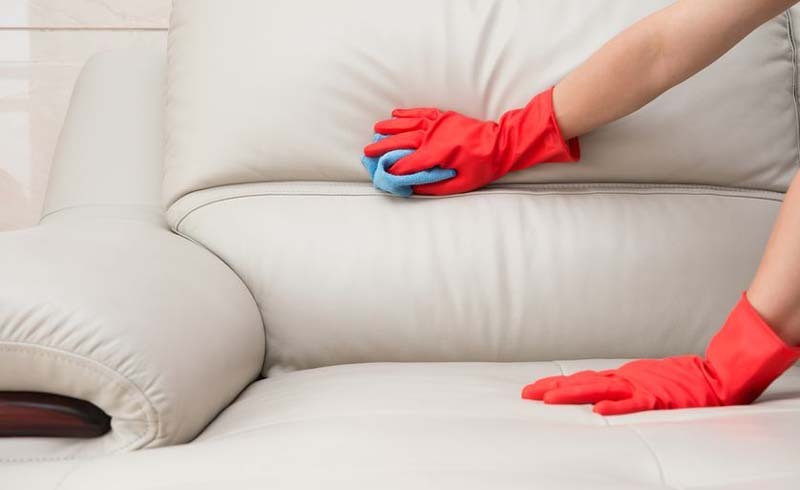 To remedy this, dust off the furniture with a microfiber cloth and then use a solution of one-part water and one-part vinegar to work at the residue. It might require a little elbow grease but keep at it and make sure to thoroughly dry the wood down when you're done. 12. Clean your microwave easily. Using a microwave safe bowl, heat water for two to three minutes. Wait until the water cools down a bit and gently remove it from the microwave. Use oven mitts to handle the bowl, it will be hot! The steam will loosen any stuck-on gunk so you can clean it using a scrubber sponge. 13. Give your dishwasher a little love and run it completely empty with detergent. Even though the appliance cleans on a daily basis, sometimes it needs to be cleaned too. 14. Spilled condiments or sticky messes in the fridge get easier to scrub off when you add a little baking soda to the scrubbing side of your dish sponge.